Tips 'n tricks related to CAx and PLM software and hardware. Primary posts are about Solid Edge, Insight and Teamcenter data management but there's smatterings of other "stuff" that as a hacker I feel is handy to get your job done. I'm a Siemens PLM Software employee. All opinions posted are my own and do not represent those of my employer. If you are looking for dish commentary, not gonna happen here. This is a technical how-to get stuff done better and faster blog. You can toggle between transparent and opaque PathFinder by using the Solid Edge Options -> Helpers. 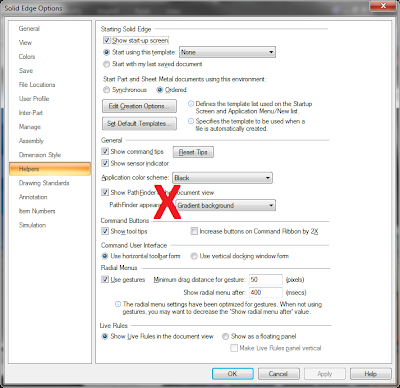 But did you know there is a quicker way to easily toggle back and forth between a transparent and opaque PathFinder? Simply hold down the Ctrl key and double-click on the title bar at the top of the PathFinder. Voilà! The PathFinder is now quickly toggled back and forth between transparent and opaque. 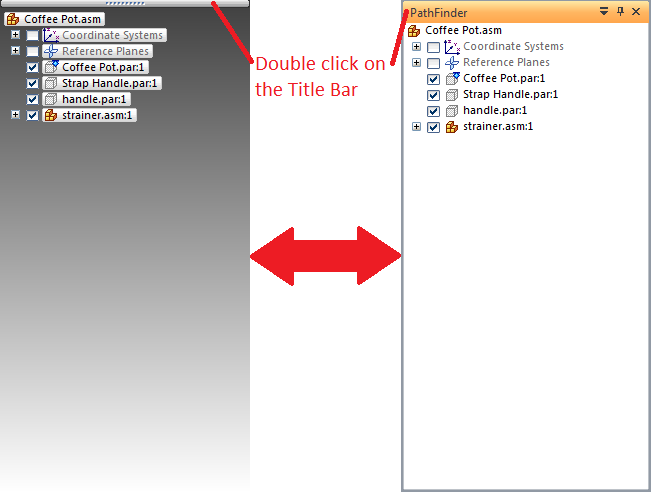 This tip was originally posted in the GTAC Siemens PLM Solid Edge user forums. Are you a member of the forums? If not, you should be. Any other quick tips you have? Please feel free to leave them below in the comments. Thanks. Thanks for reading and posting your question. Unfortunately XP does not have the necessary libraries and is unable to take advantage of a lot of the enhanced GUI functionality in ST. Therefore I would not expect this to work on XP. This is such a good thing to know, when running twin screen nothing is more annoying that having it in transparent view over another window. 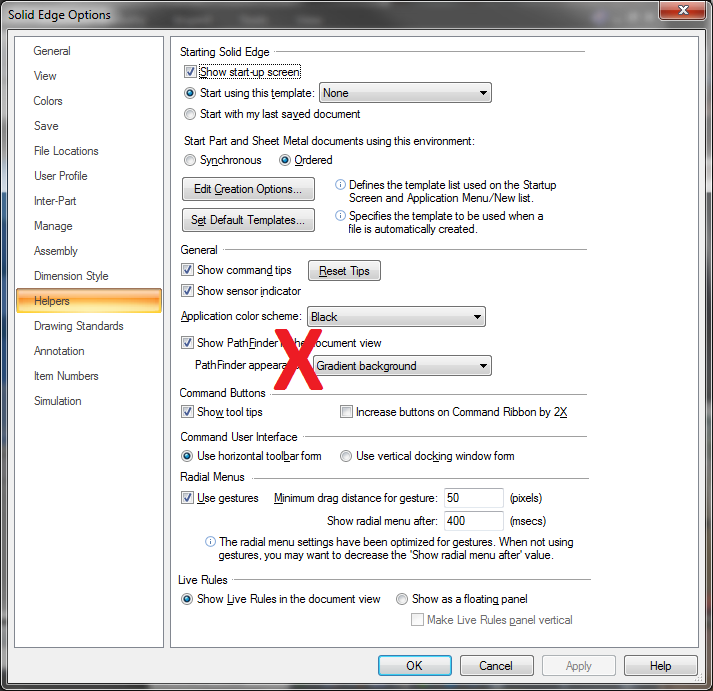 in flash fit command while selecting out side of assembly part shift key is not working some time, is there any specific setting for this option? Copyright © 2011 - 2013 David Merritt. Awesome Inc. theme. Powered by Blogger.